Title: 'A General Mapp of the East Indies'. 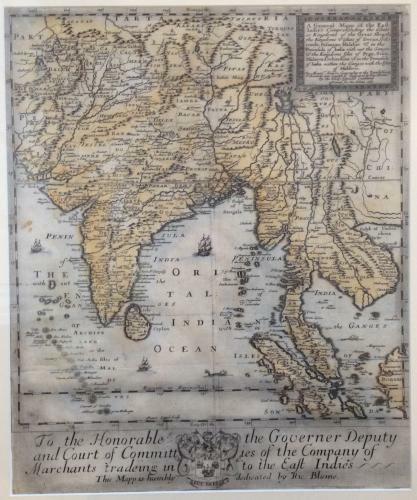 A decorative copy of Sansons map by the Englishman Richard Blome. In very good condition, pictured in a frame, minor toning. Rare.